Only new art i'm expecting is something by MC Wyman, hopefully something to show in the next 3 weeks. Just arrived --- now I just have to find the ORIGINAL pencils/ink page. The shading effect of the water on the walls and Namor lit from underneath make this a pretty impressive page. Congrats, Pat. Thanks -- probably the primary reason I bought it - the "display" ability if the page. It is very impressive. I've actually posted a Q for JB asking for a little insight into the Duo Tone process, especially on a page like this that uses it for more than just shading effect. Lovely Namor pages! Congrats to the happy owners. Nice Namor page... Very nice ! Thanks for the compliment, JB. Trimpe looks like he hasn't lost a step. That piece could have easily been a cover for the book over twenty years ago, but he just did that for me last week. I was thinking of having a US1 reunion and commission Al Milgrom to ink it. But after seeing how much detail Herb puts into his pencils, I'll probably just get Milgrom to do a piece all by himself. Pity i didn't go to the Birmingham con Gerry we could have met up and had a chat. it was a great weekend JPB.i bumped into our own Jim Stewart on the platform at birmingham New st coming home. Glad you had a nice time Gerry i was asked to go but didn't feel up to it at the time. 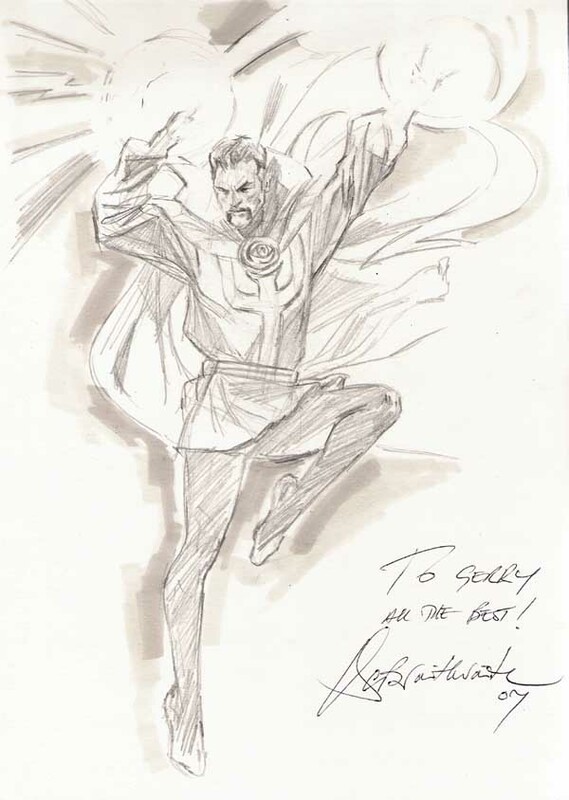 highlights for me were getting to meet Kevin Nowlan( and was bowled over when he remembered me ) meeting with Garry Leach,and getting some cool sketches from the likes of Mike Mignola,Doug Braithwaite,Alan Davis,Dave Gibbons and Mick McMahon ! Sounds like you enjoyed yourself Gerry. 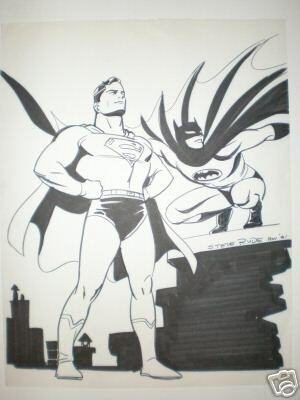 Gerry, I would love to see the sketch by Alan Davis. ill be scanning them all and posting them over the next few days. I must try to get to a UK convention next year to build up my sketch gallery. I've increased it quite a bit with the Irish ones already. This years were the best ever (with a two day coming in November). Jimmie, heres the Alan Davis.He was drawing with a wrist brace on, and kept taking wee breaks, but he wouldnt stop drawing ! 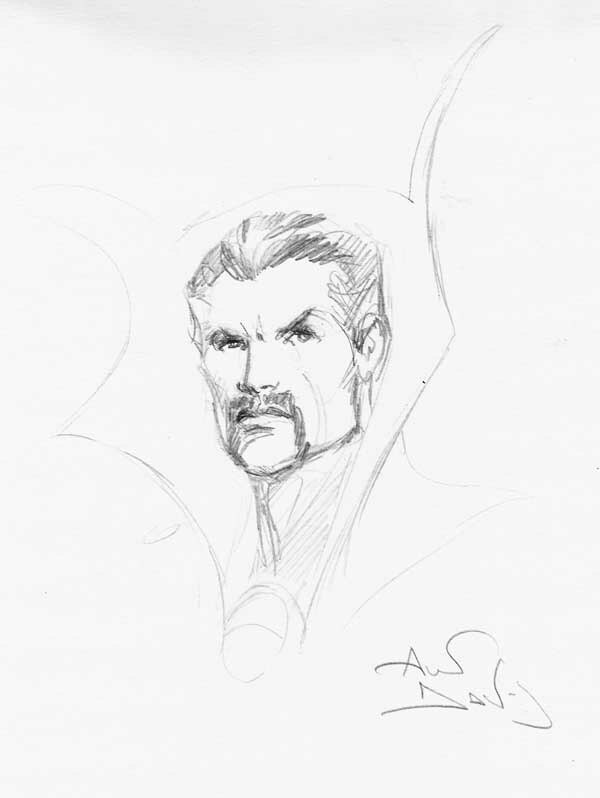 Gerry,great Dr Strange sketch from Alan Davis. Do you know if he does commissions?